Extreme colour and maximum comfort. Additional Information : Italy's leading make- up brand, Deborah Milano embodies Italian excellence since 1962. For over 50 years Deborah Milano has been making beauty an affordable and accessible pleasure for all women. Combining a flair for colour, latest trends and a focus on quality certified by the Deborah Group's own research laboratories, the brand's eye catching designs, attention to detail and unmistakably Italian flavour have become its hallmarks. Explore the entire range of Lipstick available on Nykaa. 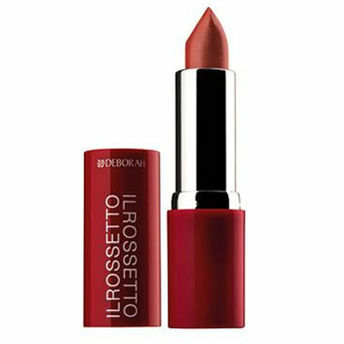 Shop more Deborah products here.You can browse through the complete world of Deborah Lipstick .Alternatively, you can also find many more products from the Deborah Il Rossetto Lipstick range.